WoohSlim is a diet pill that’s supposedly made in Switzerland but is more probably made somewhere in the Far East. 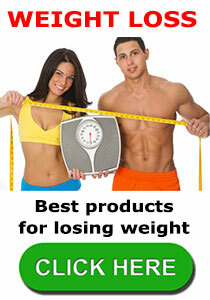 The sites marketing the product claim its the most popular diet pill in Malaysia. This is a hard claim to prove, but its true to say the pills are available via a number of Malaysian online stores. WoohSlim is part of an ever growing range of “Wooh” health and wellness supplements that have been brought to market by DODOCO Biotechnology. The company is based in Hong Kong and claims to have branches in Malaysia, Switzerland, and Germany. Official records confirm the company is based in Hong Kong and was founded in 2016. None of the scam boards or online complaint boards appear to mention the company or any of its products, but we were unable to find any evidence to suggest the other branches exist. This could be a small company that’s trying to look big. How Many Doses Are Needed Each Day? DODOCO Biotechnology appear to operate two websites, but neither one of them provides any usage guidelines. The online stores that are selling the product also fail to provide any information about the way the product is meant to be used. What Are the Ingredients Used in WoohSlim? The pills contain an undisclosed amount of green tea that has been blended with more than 10 extracts taken from Chinese herbs. Green tea is a popular diet pill ingredient that boast proven fat burning capabilities, but there is no way to ascertain if WoohSlim contains a sufficient amount and the presence of so many unidentified ingredients is a big issue because it makes it impossible to predict what benefits the product will be capable of providing. It also makes it hard to say what kind of side effects product users may be likely to experience. Have Any Side Effects of WoohSlim Been Reported? 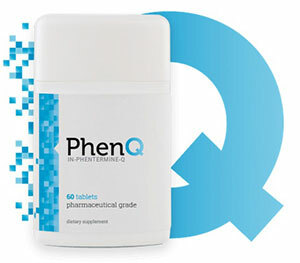 The sites selling the product echo the manufacturer’s claims that WoohSlim provides weight loss without side effects, but this is a product that contains unspecified ingredients and there is no way to say for certain what kind of side effects its use may entail. For this reason we suggest all potential users seek medical advice prior to commencing supplementation. This is especially important for people who have existing health issues and for anyone who is using medication. Women who are pregnant or nursing a child should be equally cautious. Is There Any WoohSlimCustomer Feedback? The only (alleged) customer feedback we could find was published on sites that are selling the product. Needless to say, all of it was good and suggests the product can provide incredible results. We were unable to find any reliable sources of unbiased customer feedback. Where Can I Buy WoohSlim and How Much Does It Cost? 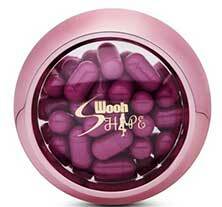 WoohSlim is available via a number of Asian online stores, many of which are based in Malaysia, and some of which offer international shipping options. The average price is RM 338.64 (USD$ 80) per pot. If you think that is expensive, so do we and there is no information provided about how long a pot is likely to last. The WoohSlim website makes no mention of a guarantee, but DODOCO Biotechnology operates another website, called Celebrity Choice, and it states customers can have their money back if they see no results within the first three days of use. A guarantee that is as short as this has no value because it does not allow customers a sufficient amount of time to evaluate the product. We advise against buying WoohSlim. It’s expensive, the guarantee period is a joke, and there is a serious lack of information about what the product contains, how it should be used, and the way it’s designed to work. The lack of reliable customer feedback presents further cause for concern. This entry was posted in Diet Products and tagged WoohSlim Canada, WoohSlim Cost, WoohSlim in Pharmacy, WoohSlim Side Effects by admin. Bookmark the permalink.